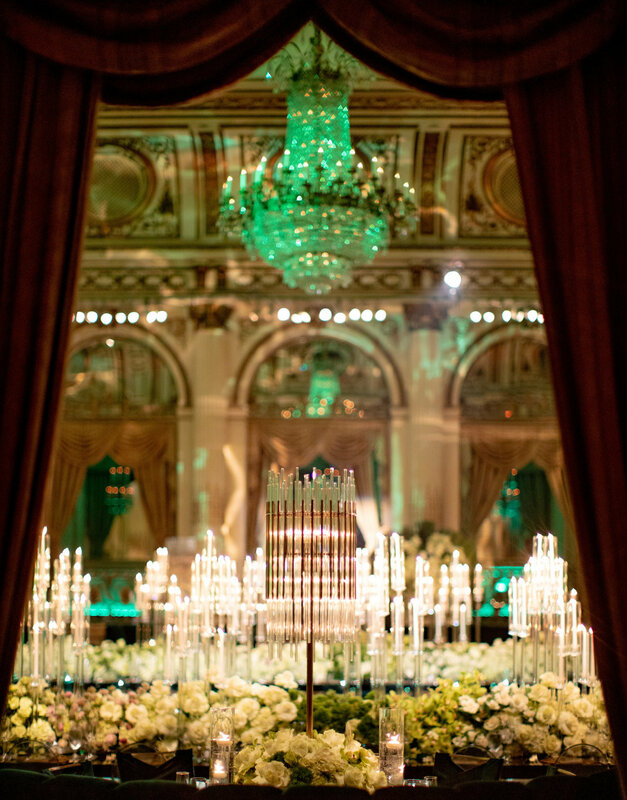 As a lush, fluffy white carpet was placed over the Grand Ballroom’s existing carpet, the massive transformation began. 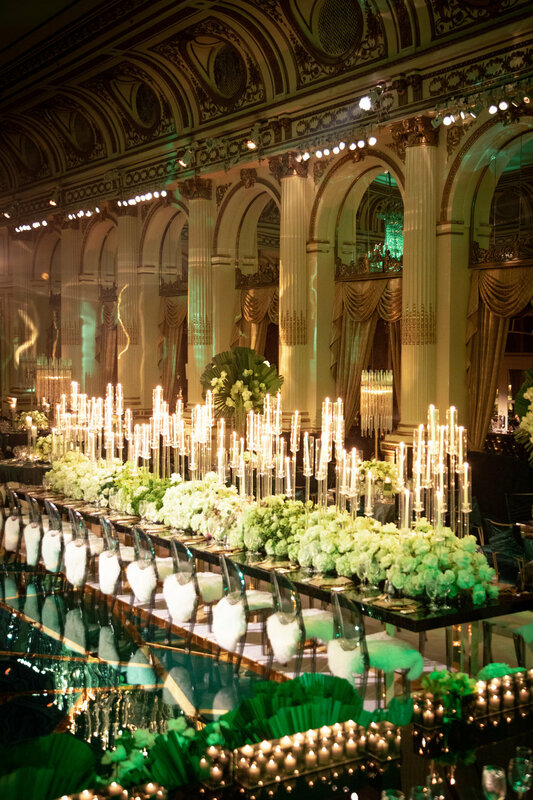 This was followed by a custom-made abstract dance floor in shades of green, blue and gold trim, which reflected the candles on the surrounding tables. Above the floor, hanging from the ceiling, was a massive installation piece composed of individual green and gold acrylic strips which drew your eyes upward. 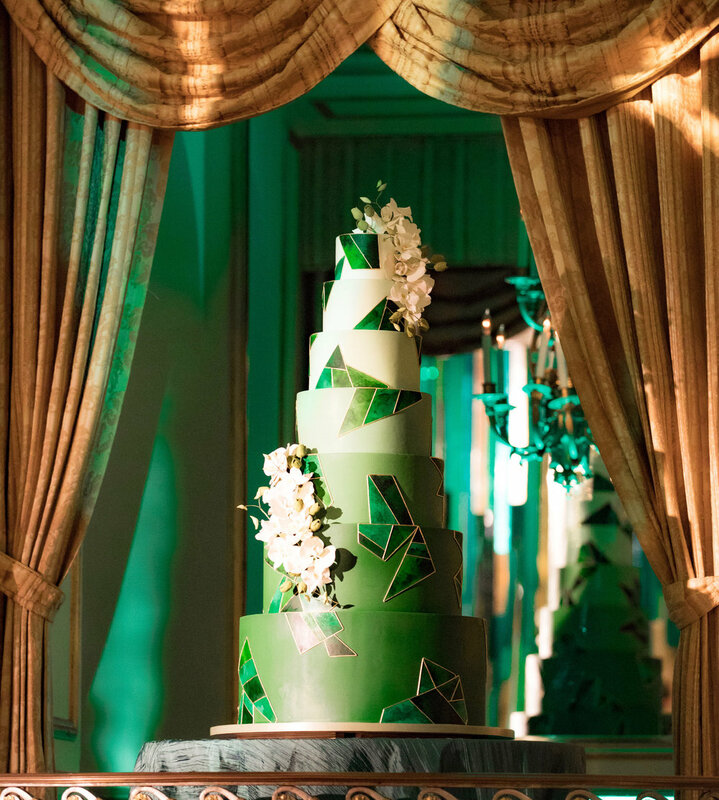 Our favorite cake designer, Ron Ben-Israel, took inspiration from the dance floor and mirrored pieces of it on his glamorous green cake. A unique highlight from the evening included passed “Molecular Cocktail Spheres” by The Grand Bevy, a treat for your eyes and taste buds.